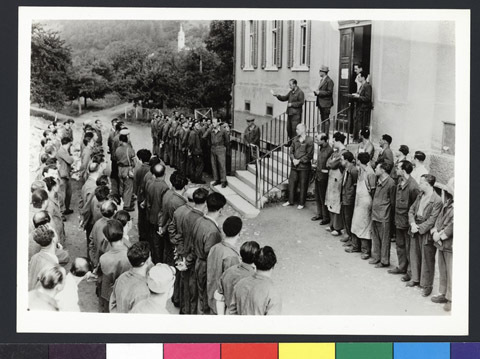 JDC - Archives : Refugee men in line outside of a camp building listening to a speech. Title Refugee men in line outside of a camp building listening to a speech. Description German refugees lined up outside of a camp building.